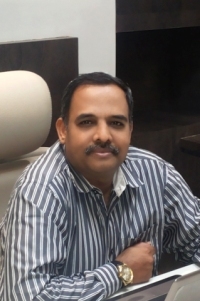 Amuthan is the CEO of Sakariya Group of Companies. He is a proactive and results-driven management professional with 23 years of comprehensive experience in national and international-new business development, marketing strategy, sourcing and team building. Establishing business in new territories through relationship building is his forte. He has a solid experience with international business practices and is widely travelled in Latin America, Middle East, and Africa. He has been instrumental in establishing systems and processes that streamline operations and improve productivity. At Sakariya, he is responsible for Organization Building, Branding and Marketing. He is passionate about creating and sharing his vision with his team for effective execution. He is responsible to formulate strategies for a strong foundation and sustainable growth for all the stake holders in the company. He graduated with a Bachelors Degree in Business Administration followed by an MBA in Marketing from University of Pune. His previous association has been with Anil Ltd., Patcham Ltd (UAE) and Core Parenterals Ltd.